« Security Products – stick to what you know or go with change? NSI or is it Nacoss, but for many years this organization has been the enforcer of regulation and standards within the security industry. Many companies aspire to be NSI Gold approved and the kudos that goes with it is worth all the effort and costs involved. We ask however, is this starting to change? Over the last two years within the security industry we have seen a seismic shift away from quality in favour of cost savings. This has meant that the smaller installers and have a go electricians,who had previously been shut out by strict regulation are suddenly finding they are winning jobs and making good profit. Sometimes, but not always, they are able to get away with poorly installed security installations and walk away with the money, much to the ongoing disgust of the larger installers out there. How is this possible though? Why are the big boys losing out? The answer is simple. It’s the overbearing overheads that NSI compliance demands that is dragging the larger company’s margins to breaking point. Add to this the end users lack of concern and disregard to regulation in favour of lower costs and we can see that some of the larger organizations out there are looking at being an NSI gold installer as becoming commercially unviable. When NACOSS first hit the scene before becoming NSI, the improvement in false alarms from badly installed intruder alarms was astonishing. Regulation worked and insurance companies embraced the fact and so did the police. To be fair intruder alarms are not really much of an issue here. The problems for the big boys lie elsewhere. Regulation then started to force its way into other areas of security installations. The NSI started to eye the CCTV industry and those who installed access control. Although not insurance driven, Nacoss decided that these disciplines should also be rigorously regulated. 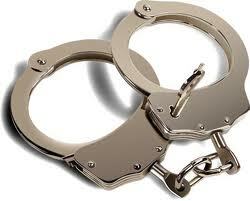 The problem is lots of larger security companies installed all 3, Intruder alarms, access control and CCTV. 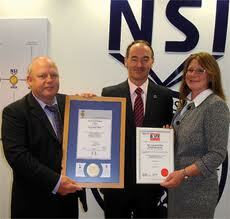 The NSI insisted any company who issued certificates on intruder alarms must also issue them on CCTV and access control. At £30 odd quid a go this adds cost straight away. In addition corrective response times and maintenance performance targets were also included. This means staffing levels must be increased as a 4 hour response became mandatory on all security systems. Now a smaller company cannot possibly compete in the servicing side of things but when a new job is out there to be won many company MD’s did not care too much about aftercare. Just the bottom line of the cost of the installation matters. With many businesses now self insured against theft and malicious damage there are no insurance companies telling the end user they must install their security systems to NSI standards. Therefore you can see why the smaller guys are winning jobs. So does this mean that the ADT’s and Chubb’s of this world may look to move away from the NSI? We don’t know but IP CCTV is also changing the way that the NSI will need to operate. At the moment they are not moving fast enough. Even so how can the NSI impose regulation on a security installer but not an IT integrator? The commercial advantage to the integrator would be huge. Admittedly the installation may not be as good or reliable but when the FD of the purchasing company looks at 3 quotes, seemingly identical , he is not going to question the issue of an NSI certificate or the relevant standards at that point. This means the CCTV installer is out of pocket. To us it seems despite all the CCTV installers hard work on his quotes, if things don’t change he will be going out of business fast!!! . So is the NSI in danger of being dropped by the security industry? Will they all inevitably abandon the NSI ? Unless a more sensible and fairer system can be worked out then we think the answer could well be yes! This entry was posted on Friday, April 29th, 2011 at 01:03	and is filed under Access Control, CCTV. You can follow any responses to this entry through the RSS 2.0 feed. Both comments and pings are currently closed.